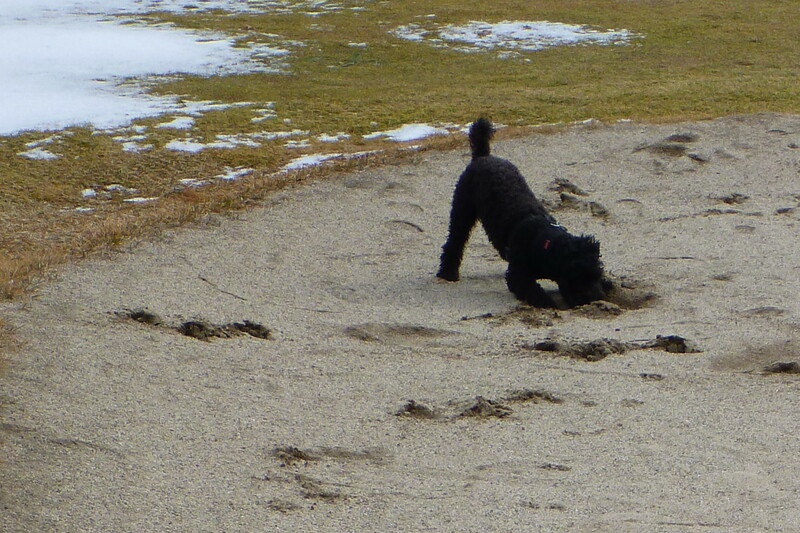 This afternoon, I took a walk on my home golf course with my dog, Henry the Dog. 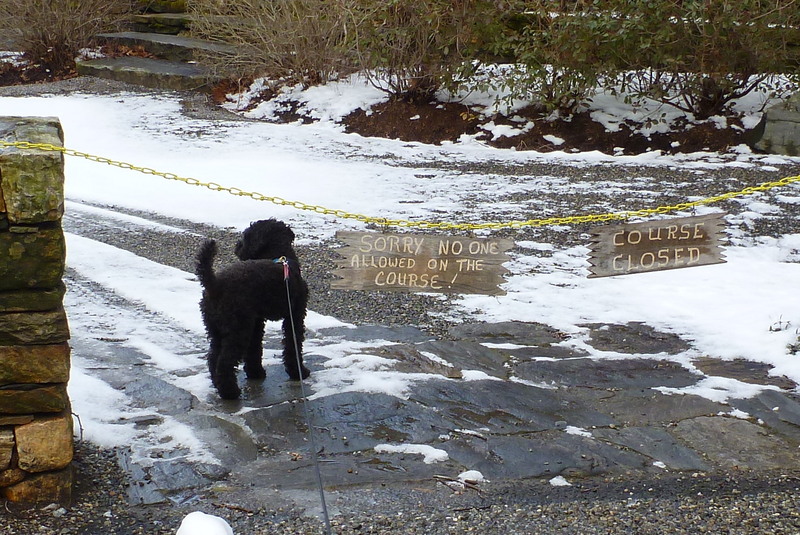 I let him off the leash, and he spent most of the walk running far ahead. 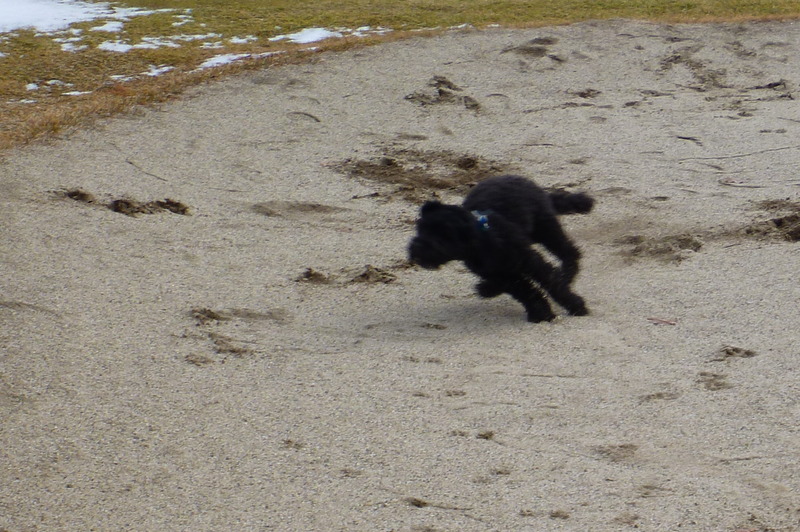 On the sixth hole, he surprised himself, after racing across the green, by going airborne over the lip of a bunker. 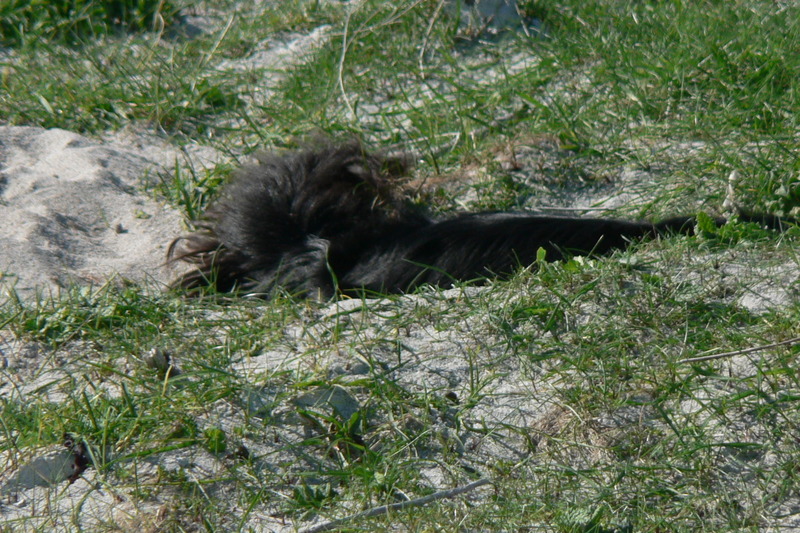 He landed halfway across the sand, like an Olympic long-jumper, then spent five minutes repeating the jump and running in tight circles, pausing occasionally to dig a hole. Then he stopped to catch his breath and study what he had done, and we headed back toward the parking lot. 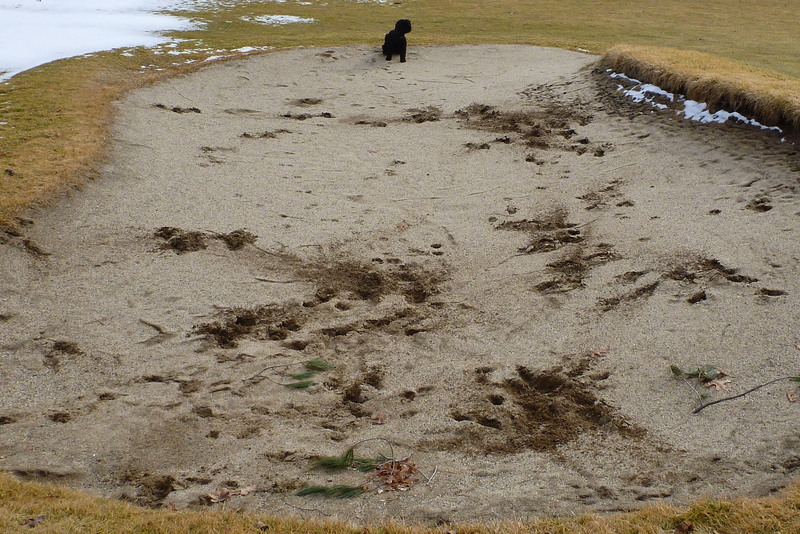 I’ll rake that bunker in the spring. 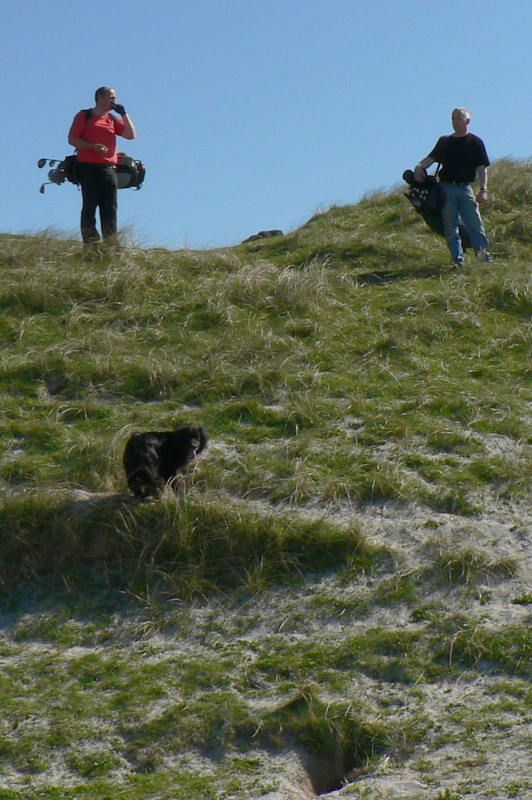 I played with a dog in Scotland who was trained to never walk on the greens. 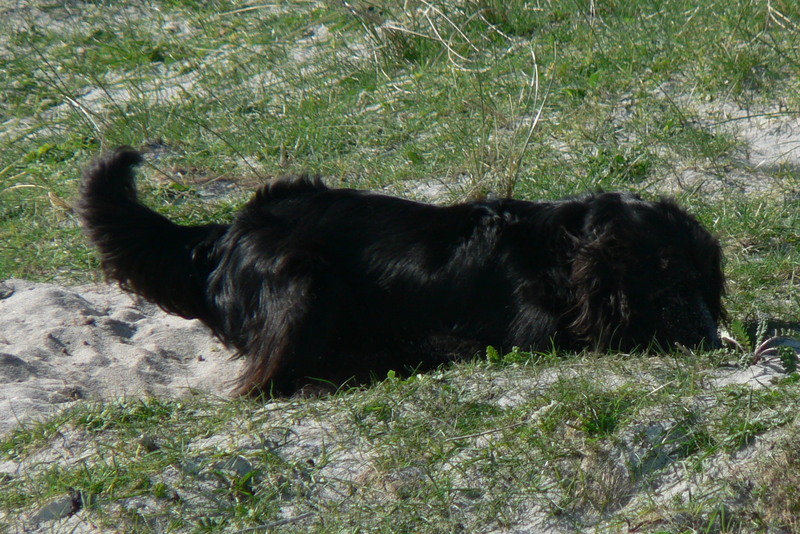 A fine way for a dog and a man to spend 4 hours together. It’d be cool if some U.S. courses could become similarly relaxed. Miniature poodle. Smartest dog in known universe. Just adopted Joey, 6 year old poodle, doxie and part muppet! Thanks for the recommendation!